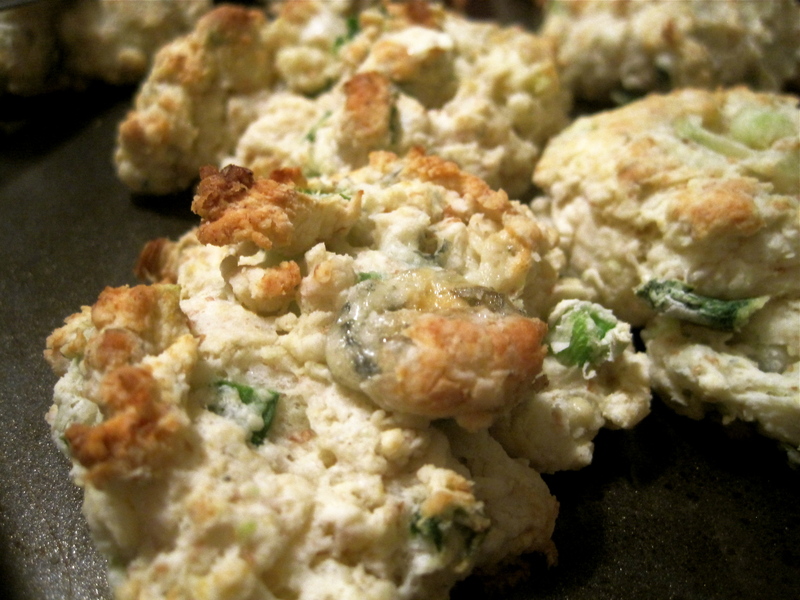 I make these biscuits ALL the time and they’ve never not been a hit (though there was one time I brought them to a potluck dinner and it was really dark in the room so people thought they were oatmeal cookies, which was a shock to the mouth! They were still a hit once the confusion was resolved though). 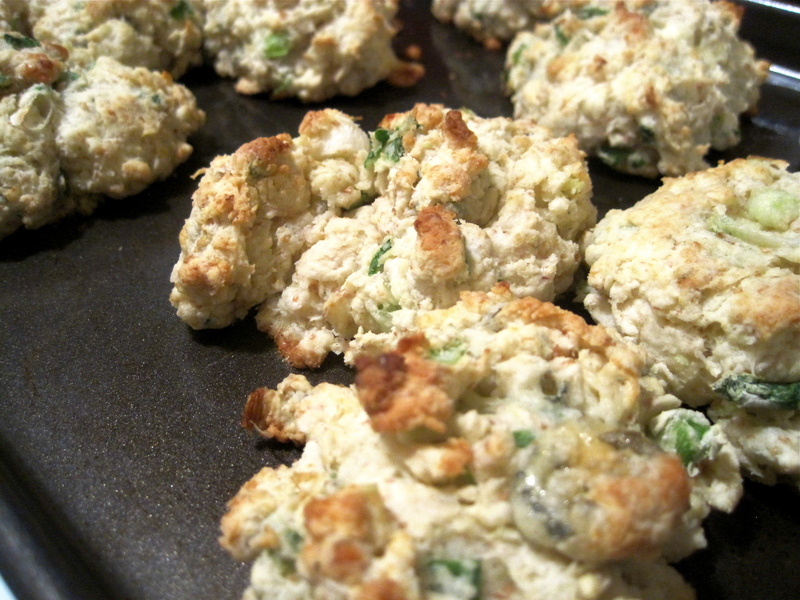 I make them for my dad every time I go back home to San Francisco, and pretty much anytime I see blue cheese on sale at my local grocery the thought of blue cheese biscuits always comes to mind. The recipe is adapted from Smitten Kitchen, the mother of food blogs, who by the way has a cookbook coming out that, based on how often I make these biscuits, I will definitely be ordering! Preheat oven to 450 F and butter or line a baking sheet. Mix together your milk and acid, if using instead of buttermilk. Mix flours, sugar, baking soda, salt in a bowl, then cut in butter–you can use a fork or a pastry cutter, but I usually just use my (clean!) fingers. You want to shred the butter into the flour until the mixture resembles crumbs or coarse meal. 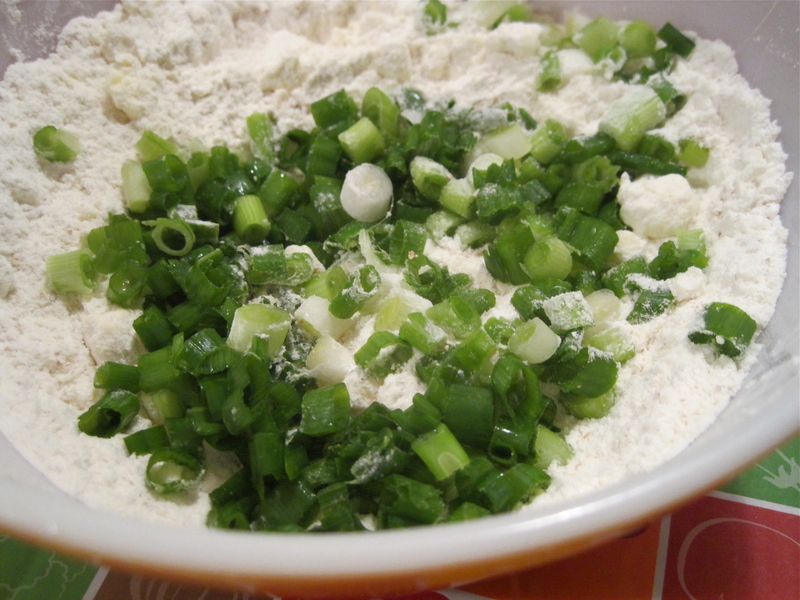 Mix in the blue cheese and chopped scallions, then add the buttermilk and stir until juuuust combined. Drop dough in equal scoops (how big they are depends on how you want to make, mine are usually around..half a fist in size?) on your baking sheet. Bake for 16-20 minutes until golden, checking towards the end to make sure they’re not going too far! Remove from oven, let cool for an insufficient amount of time, and eat while the cheese is still melty, almost burning your mouth in the process.